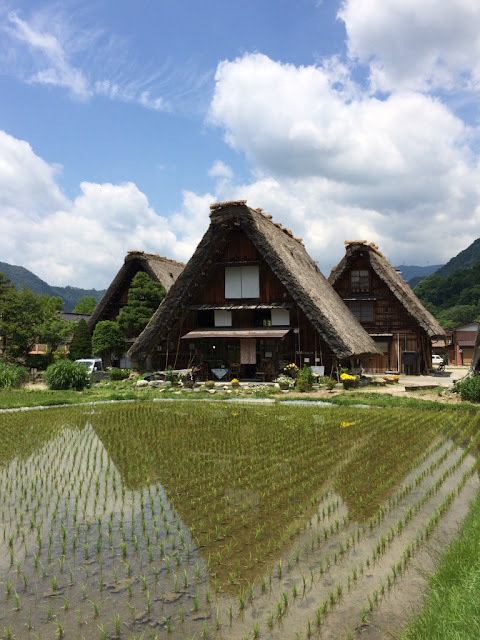 I guess "Old Flammable Farmhouses" isn't that flattering of a title name for this blog post (or the city of Shirakawa, for that matter), but seriously - it's the one thing that stuck in my head the entire day I was there. 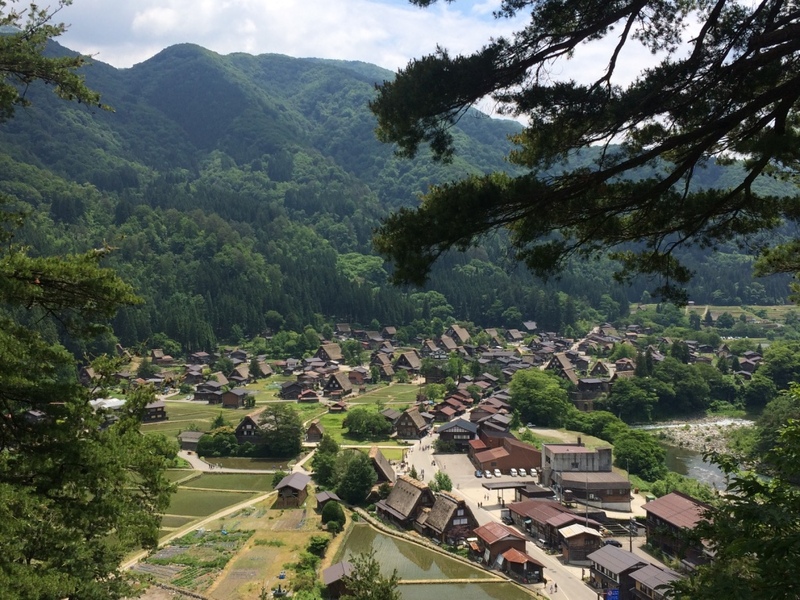 Shirakawa-go is a small mountain village about an hour away from Takayama. 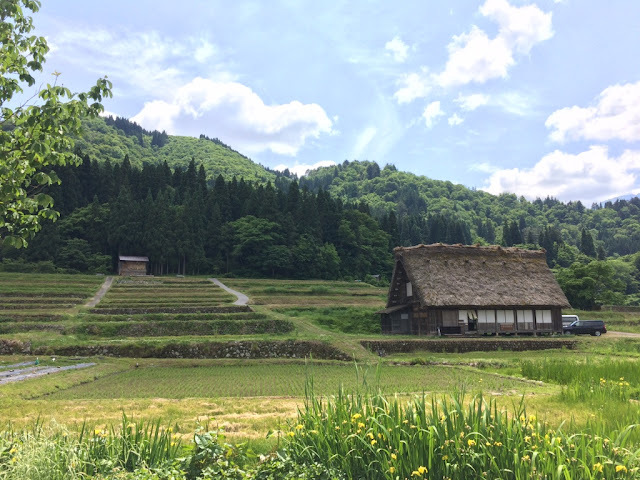 It's best known for its traditional-style farmhouses, which consist of a thick thatched roof (constructed in a style called gassho-zukuri), some of which date back hundos of years, and are built to be able to withstand the tons of snow the village gets in the winter. Only downside - these roofs are incredibly flammable - you weren't allowed to smoke anywhere in the village. 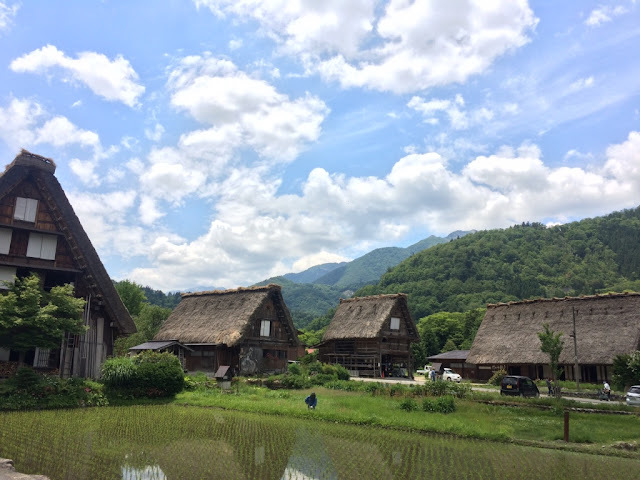 Nowadays, while Shirakawa-go remains a beautiful village to see (the farmhouses really are striking), it's basically turned full on tourist trap, especially after UNESCO made it a World Heritage Site awhile back. I took a local bus, and pulling into the bus stop, there were at least 20 other full-sized tour buses there already. Plus hoards of Chinese tourists everywhere. Less than 2,000 locals live in Shirakawa-go, but I'd say the population was easily doubled by the Chinese tourist groups. Not to mention that every other house is a gift shop or cafe or is selling ice cream (no complaints on the last one). 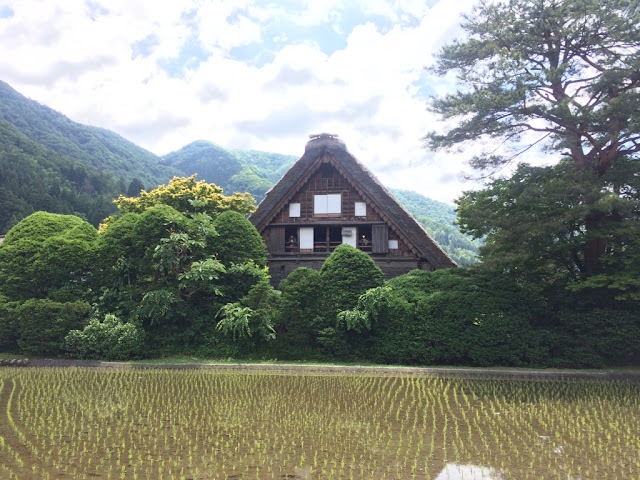 It was worth going for me, because I liked having a day to wander around as I pleased - especially since it was only an hour bus ride, and it was nice wandering around in the sunshine and beautiful weather, with giant crazy beautiful farmhouses as backdrop. But man, Chinese tourists. You will hear more from me on this matter; don't you worry. 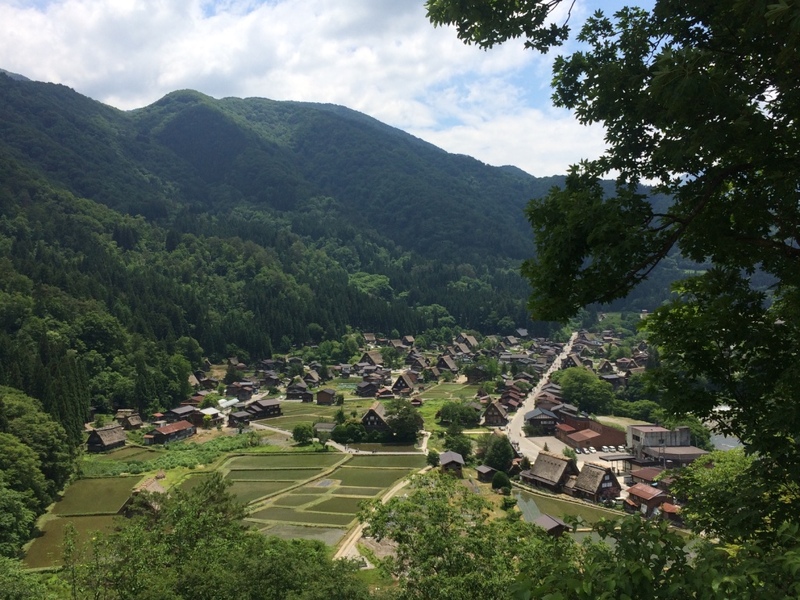 I basically arrived in Shirawaka-go by bus, and then spent a couple hours walking through the tiny little paths of the village. Get ready for lots of farmhouse photos. 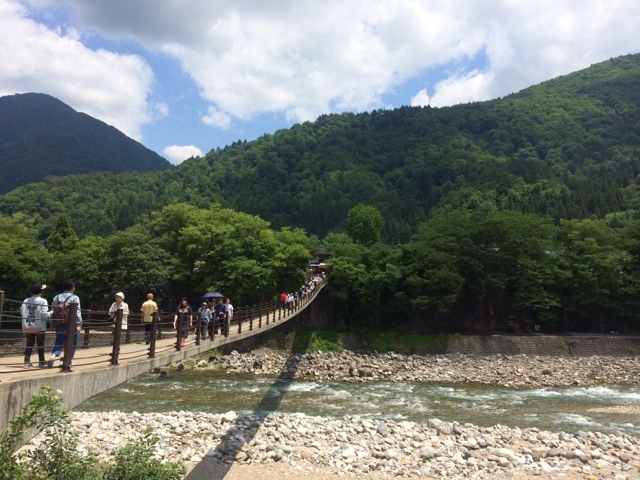 Large suspension bridge leading into the village. See. all. the tourists. 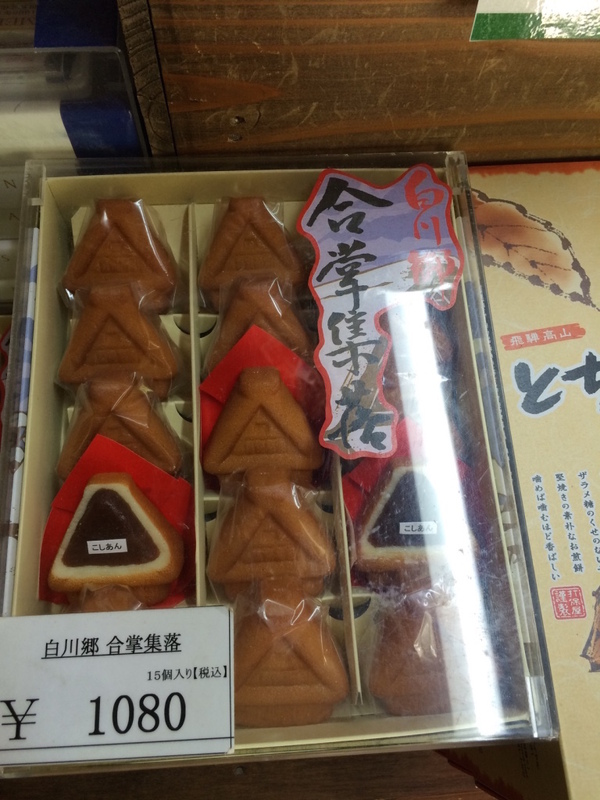 Example #20382 of how Japan loves themes - Buy a box of farmhouse-shaped snacks?? 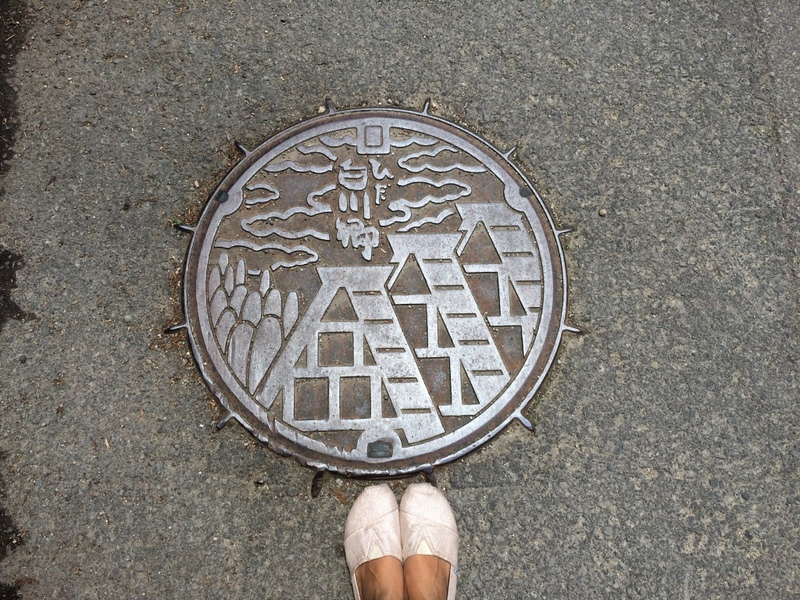 Another cool Japanese thing - every city has special sewage covers themed after the locale (i.e. 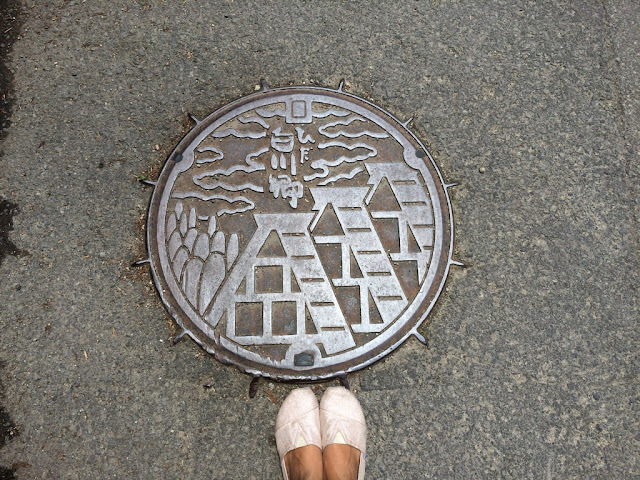 Kyoto's manhole covers have sakura blossoms, etc.) Shirakawa-go's sewer covers have farmhouses! Of course. 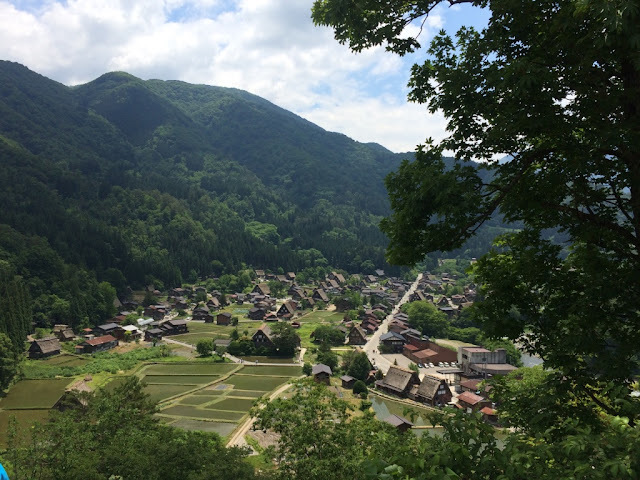 There was a short 15-minute hike to the top of an overlook, where you had gorgeous Shirakawa-go village views. 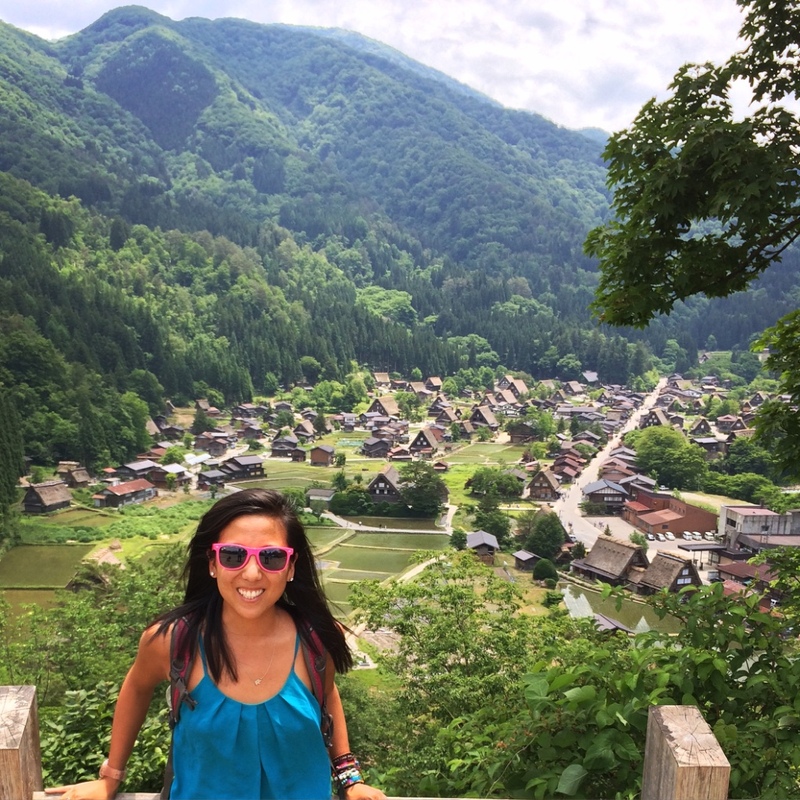 Apparently Shirakawa-go is also super popular to visit in the wintertime - can you imagine all the snow-topped roofs? So pretty. And cold. As the trip to Shirakawa-go only took me half a day, after I was dropped back at Takayama's bus station, I impromptu decided to take another bus back to the onsen town (Hirayu-onsen) to spend the afternoon/early evening at another onsen there I'd read about. This onsen is called Hirayunomori, and it's a combo hot springs/onsen/restaurant/hotel/gift shop. 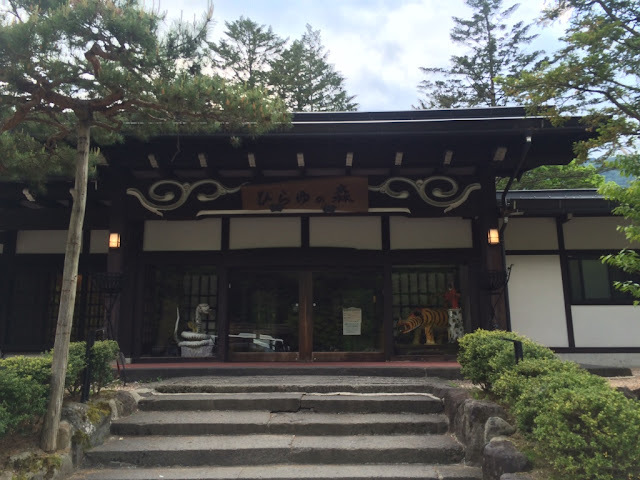 This one is well-known because it has beautiful outdoor onsens. 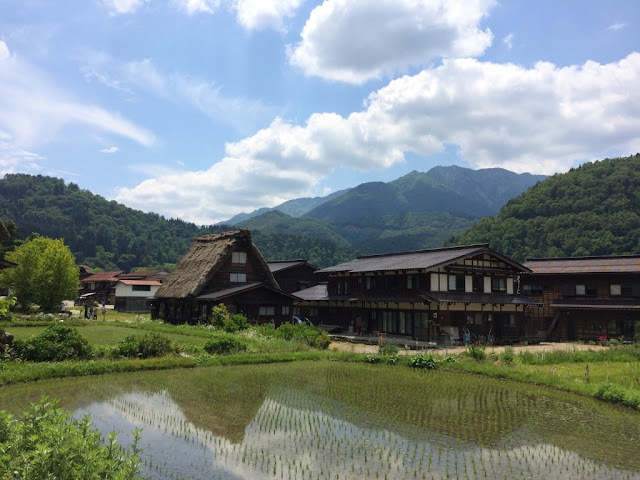 I spent my afternoon soaking in every single hot springs onsen I could find in the place. 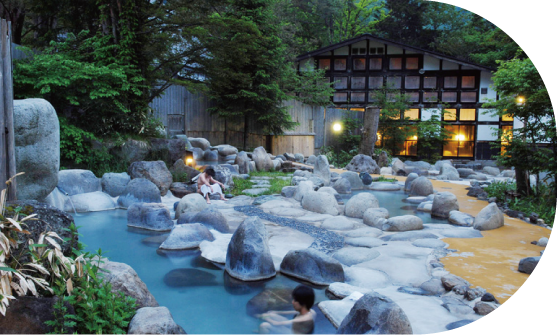 I've perfected my art of onsen-ing so I no longer stick out like a sore thumb, and it was also nice because I'd developed a cold (*COUGH*KARIM, thanks for bringing your hacking cough and constant runny nose from NYC all the way to Japan to infect me), and sitting in hot springs felt therapeutic somehow. 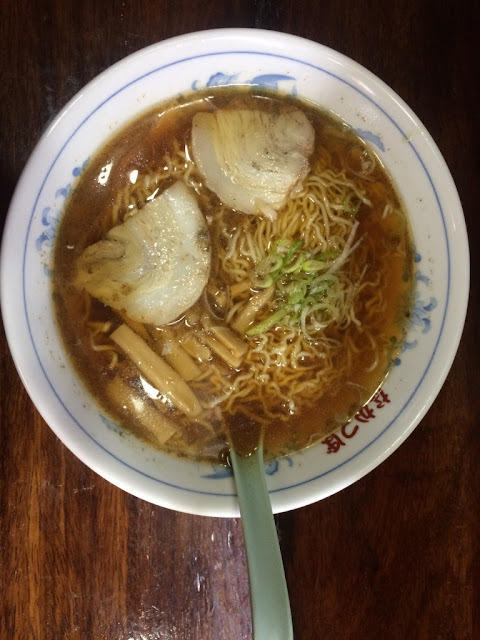 So since you clearly can't take photos given all the naked people, I stole this off Hirayunomori's website. These are all the outdoor pools! All with varying temps. It's seriously, seriously beautiful. 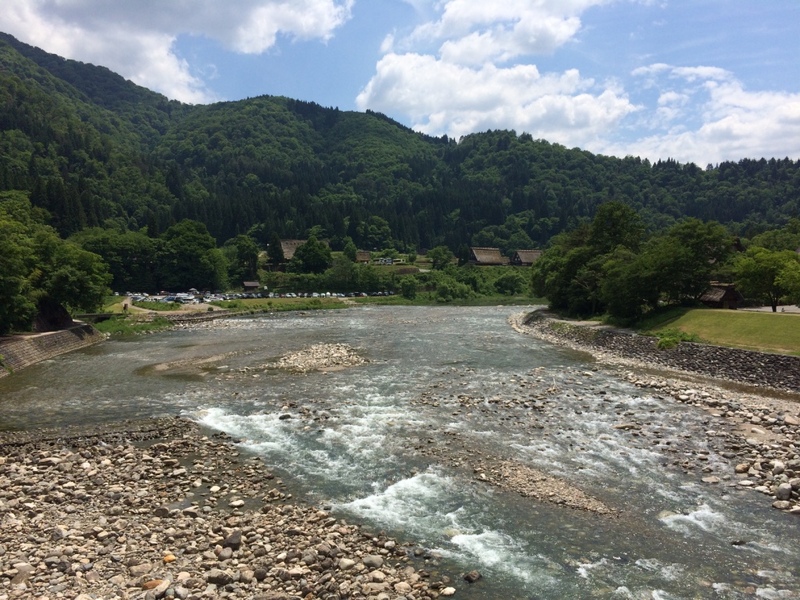 Though the water has weird white squiggles in it because it's natural hot springs, or something like that. Riding home on the bus after spending the afternoon soaking in baths, there was the most glorious sunset. Which I obviously could not capture. 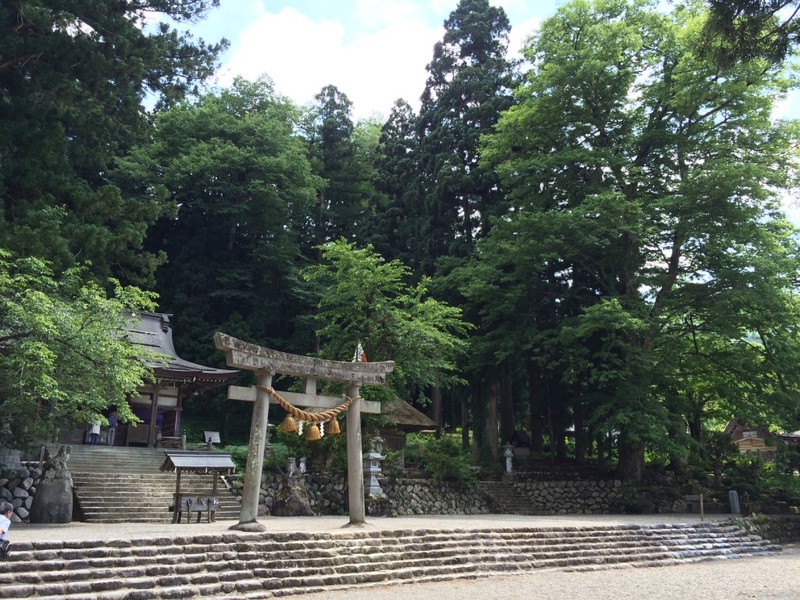 And with that, my Takayama mini-adventure was over! I headed down by bus to Kyoto the next morning to meet up with Kate and Mark again for the last portion of their Japan extravaganza! I'm so, so glad I was given the opportunity to discover the adorableness and serenity of Takayama and its surrounding areas - as I probably never would have gone here if Kate/Mark hadn't been heading here on their itinerary. The villages are so quaint, and so old-world Japan - such a different experience than the frenetic energy of Tokyo, or Japan's other big cities. So thanks guys! You get MVP status. Seated next to an old Japanese lady for the 4-hour journey from Takayama to Kyoto the next day, I was coughing once in awhile - due to said lung illness above. Partway through the journey, the old lady grabs my wrist and pours a bunch of throat drops into them, while pointing at her throat and indicating that I should take them. I was basically guilted into sucking on these million throat drops she gave me the entire bus ride. She could tell I wasn't Japanese and that I couldn't really speak it so well, but it didn't stop her from launching into a conversation about herself, after asking me the basic questions of where I was from and what I was doing and omg I was traveling alone?? and why I wasn't taking care of myself by sucking on more throat drops? I nodded a lot like a bobble-head doll, even though I probably only understood 30% of what she said. What I gathered from my incredibly poor Japanese skills is that she's 81 (she said it so proudly, after asking me my age and then telling me I look 20. I love you, lady), she goes to Kyoto once a month to visit some kind of family, and that she was staying for the weekend. She was seriously the sweetest. 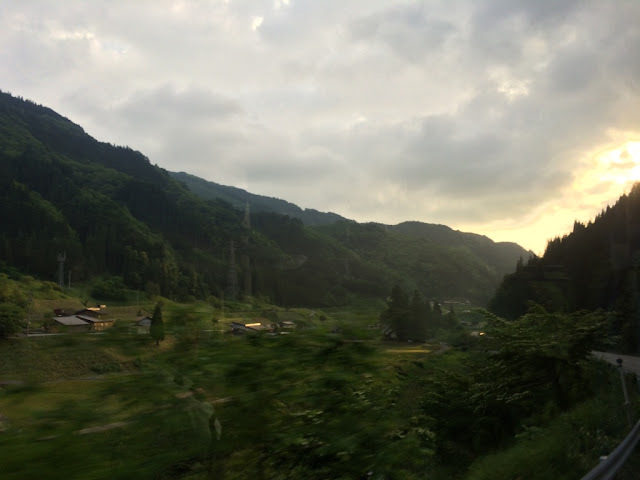 After the bus arrived in Kyoto, the old lady searched me out while I was retrieving my bag from under the bus and held my hand while saying "気をつけてね" to me over and over (said as a parting, literally translates to "take care of yourself"). She was seriously concerned that I was by myself and had a cough. As if Japan isn't one of the safest countries in the entire world. Anyways, she touched my heart. Two people, 50 years apart, totally different languages and cultures, and yet we were friends for a couple hours on a bus ride. I just had to share. Sweet story about the bus ride. You do look 20! Also, happy travel-iversary. One year! Congratulations. I felt the impulse to send a comment because I watched an episode of Anthony Bourdain Parts Unknown tonight, and he went to Myanmar. It reminded me of some of what you wrote on your blog so I looked back at your trip through Myanmar. I was looking forward to one of my favorite lines of the whole journey, "We did not bike all the way out to NOT see a tofu village." That must have been in another country, but I smiled remembering that story. Anthony Bourdain is the greatest (and has my dream job)! I will have to check out his Myanmar episode, though I highly doubt HE made it out to Tofu Village?! Win. Also, that line did happen in Myanmar, it was Inle Lake.